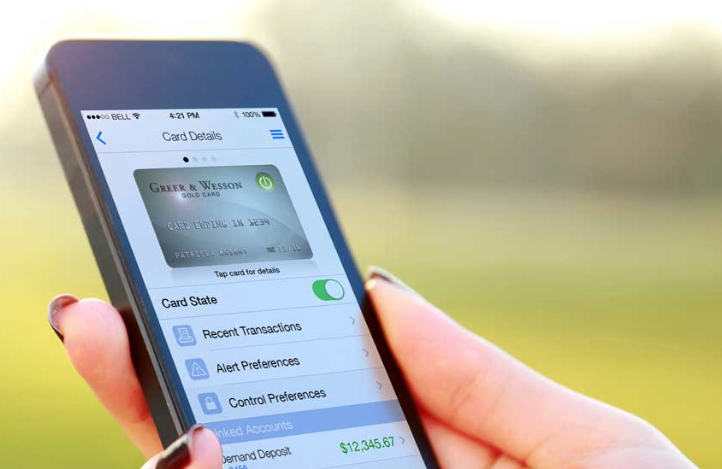 How can a remote control for credit cards create value for consumers and banks? Last week I attended FinovateSpring in San Jose. I was excited to see the latest innovations around mobile payment technology from companies including Loop, Quisk, WePay and Red Giant. However, I was most intrigued by what Ondot presented and the value the technology provides to consumers and to financial institutions. Their technology was so well received last week that Ondot won a Best of Show award. Yes, there has been a lot of activity within the digital wallet space to improve card security or reduce the number of cards one needs to carry. Coin, for example, enables users to consolidate all their credit and debit cards on to one “smart” credit card. Think Swiss Army Knife…but just for your cards. The user selects which card to use by activating it on the Coin device…with the other cards remaining turned off. FinovateSpring presenter, Red Giant hopes to replace all the cards in consumer’s wallet with a “smart” card that can be turned on to make purchases…to then be turned off when not in use or if it’s not in the close proximity of the userI think what Ondot presented takes the card management and security technology features and benefits one step further in meeting the needs of the consumer AND the financial institutions. Ondot launched its Mobile Card Services…or putting it simply, it launched a technology that enables a user to remotely turn on or off a payment card from a mobile device. There is no need to carry around another device or card. Ondot is controlled by the one item weall carry with us….our phones. The implications of this technology are HUGE for consumers and for banks. Consumers now have the opportunity to control when, where and how a debit or credit card is used. Thinking this through a bit, this technology in effect helps prevent fraud or spending abuse before it even has a chance to happen. It puts the cardholder in total control of all cards in the purse or wallet! That is GREAT!!!!! For example, let’s say your wallet or purse (or Coin device!) falls out of your hands and all your credit cards are now in control of a nefarious individual. The Ondot solution can be used to sense that your card is no where near you and turns off the cards before the potential criminal is able to run to Best Buy and buy a TV. Or, let’s say you give a credit card to a son or daughter attending college and you want to limit the type of spending to just books and school supplies…and not to spending at bars and restaurants. If your child tries to charge a $100 round of drinks on Friday night the card will be denied for payment. Sigh…hopefully your child is good at washing glasses to pay the bar tab! Ondot benefits for banks are equally as exciting. For example, offering this remote control feature will be a big point of differentiation for card issuing banks. I can’t think of any bank within the SF Bay Area that provides this feature….without having to actually cancel the card. Secondly, the technology helps consumers reduce exposure to fraud…which in turn helps banks and card issuers reduce charge backs. Lastly, if integrated correctly on the bank’s website or mobile app, the solution creates another touch point with consumers who regularly manage and check their cards. There will be A LOT of opportunities for the card issuing bank to learn about spending patterns and to cross sell these users to other banking products. This feature could get customers to return daily to the branded mobile app to manage their credit cards. The big challenge for Ondot will be how easily will these features be integrated within a financial institution’s current online and mobile banking platforms. Ondot will no doubt be exploring strategic partnerships with the platform providers to help springboard distribution and adoption. The Ondot product team will also be looking into how the solution can be integrated through APIs…which will be a key requirement for the mid and lower tier financial institutions. Ondot will be one to watch! I had a great time last week at FinovateSpring live blogging for Money Summit. There were so many great technology demos presented and a lot of great networking was had by all. This was my fifth Finovate event and it was great to see many familiar denizens of FinTech and to meet many new innovators. According to the Finovate team, this event was the most attended ever with over 1,200 people fitting into the City Nation Civic in San Jose. Hopefully my co-blogger, Brad Leimer and I were able to provide insightful comments and perspective to what was presented during those two days. Please feel free to Tweet questions to Brad (@leimer) or to me (@ericdunstan) and we will do our best to respond as quickly as possible. Personally, I was most excited by what was presented in the mobile payments, virtual CRM, and digital banking technology verticals. Look for future posts for my perspective on presenting companies in each vertical. As far as the Best of Show winners go, I was very impressed by what EyeVerify, Loop, Ondot and PrivatBank presented. I will continue to contribute to the Money Summit blog. I will post links to content I produce. Or, better yet, add Money Summit to your “FinTech” news feed on Feedly or Flipboard. I hope everyone had a safe and easy trip home and is having a productive week.